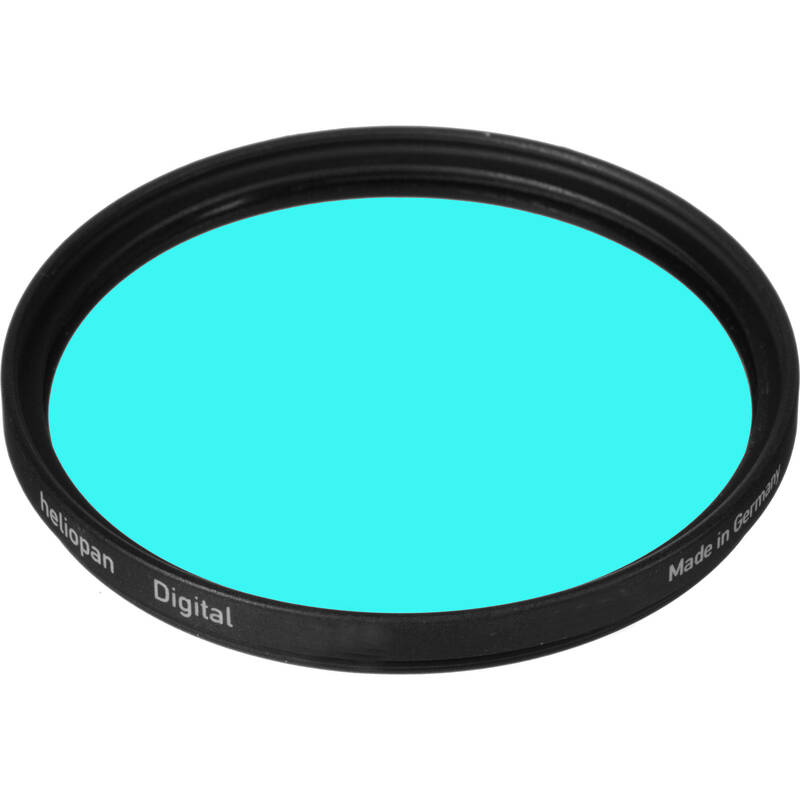 This is the 43 mm Infrared and UV Blocking Filter (40) from Heliopan. It is designed for use with black and white and color films that are sensitive to certain values of infrared and UV light not visible to the human eye. Using traditional contrast filters such as a yellow 12, red 25 or green 15 will produce a color shift which may not be desired in the final image. Greens may become blue, red becomes green and yellow becomes blue/green and infrared becomes red. CMOS and CCD sensors and chips are very sensitive to infrared and UV light because of the coatings on these surfaces. Even if your camera has a built-in IR filter, there can be noticeable color shifts or incorrect exposures due to any number of factors. However, Heliopan provides specific filters that completely block infrared and UV rays resulting in more precise color control. In order to achieve correct exposure, testing is strongly recommended since infrared contamination can vary depending on time of day and the conditions under which you are shooting. In the black and white mode you can see the proper exposure in the camera display. In the color mode you can see it in the histogram display. This applies especially for the red channel. When this filter is used, infrared light waves at 860 nanometers are blocked by approximately 99.1%. Infrared light waves at higher frequencies are further impeded where attenuation is achieved at 890 nanometers with infrared light waves blocked by 99.2%. This process helps to ensure that the light that falls on the camera's sensor is limited to the visible spectrum. Potential infrared color shifts are prevented or minimized, which preserves color accuracy throughout the frame. The reputation of Schott glass is world renowned. The high production standards combined with a sturdy brass filter ring make Heliopan filters hard to beat. These filters have a "heft" to them that is impressive. They may feel heavier but the benefit is in the construction and results. Not only is the glass exceptional but so is the seal between the ring and glass. Schott Glass used in the manufacture of this filter is legendary and synonymous with the highest standards of filter production.